Qayamat Ki Raat 3rd November 2018 Written Update Episode: Gauri kills the Kalasur. 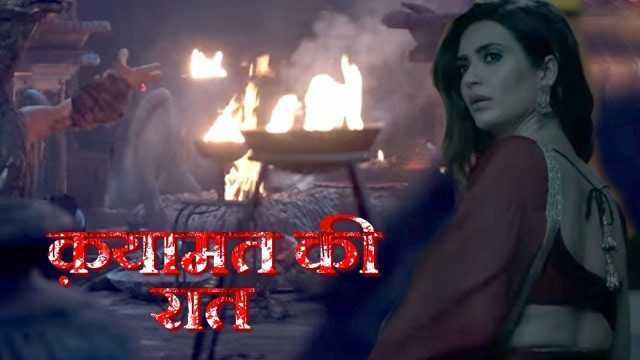 In the latest episode of Qayamat Ki Raat 3rd November 2018, Gauri kills the Kalasur. 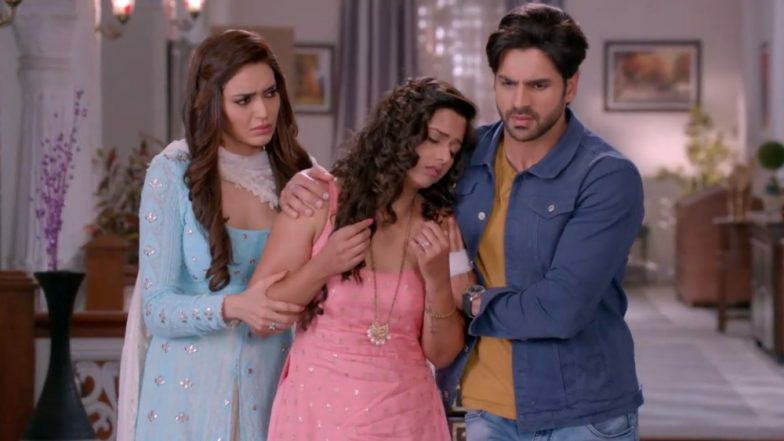 Today’s episode of Qayamat Ki Raat is started with Guru ma takes the hand to temple. Kalasur throws fire towards them, Kalasur is floating at Uma. She said that please leave me. He was so worried to see this. He said to asks them to stop all this. Dharam and Raj are trying harder to stop the Mishka. Gauri said to leave mummyji. I will give your hand back. She picks to his hand and said that leave Uma first. Kalasur brings Uma down. Gauri throws him and pains him. She said that this is what you deserve. Kalasur said to Gauri that you are mine. Gauri stabs him more. She pulls him out of the house. Raj and Dharma pains Mishka. She gets disappears. Meenakshi picks the hand of Kalasur. It was the fake hand she thinks that it was the real hand of Kalasur. Raj and Dharma come at home. They told to Gauri about Nani. Uma consoles to Gauri. She said that Kalasur might come back. Guru ma said that he is very popular. Prithvi said that let take his body to the temple and put a Trishul on him. Everyone looks for the library way to Kalasur’s place. Prithvi finds it that they come underground to Kalasur’s place. Prithvi said that he was living under our house. We have to do Pooja here and clean this place. He said thank you for saving our whole family Gauri. Meenakshi said that he is gone. We will all live now. Uma said that we will celebrate Karwa Chauth tomorrow. Gauri said that we could not find that black hat woman. Gauri says we could not see who is she? Raj said that don’t worry. Raj takes her Nani’s photo from there. Precap: Uma said to Gauri that if you are thirsty some water. She said that I will only drink from Raj’s hand after Pooja. Anjali comes crying to their house.